LG G8 ThinQ is expected to go official at MWC 2019. A few days back, the LG G8 ThinQ Price got leaked by a Reddit user. Recently, a set of new renders surfaced online. 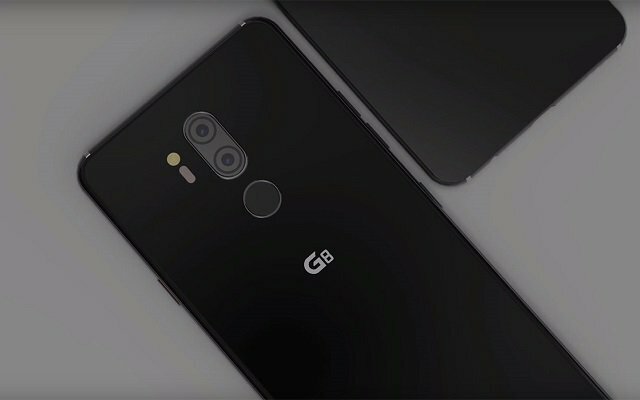 The LG G8 ThinQ Latest Renders offer a look at the upcoming handset from all angles. According to the latest renders, the front design of the phone will be quite similar to the G7 ThinQ. The phone will be equipped with a notched display. Even though, the notch size on the G8 ThinQ will be the same as the G7 ThinQ. However, the side bezels of the phone will be slightly narrower than the previous model. Let’s have a look at the renders. It is quite clear from the renders that the back of G8 ThinQ will be made out of glass. Furthermore, it will feature a horizontal dual camera setup and a fingerprint scanner. 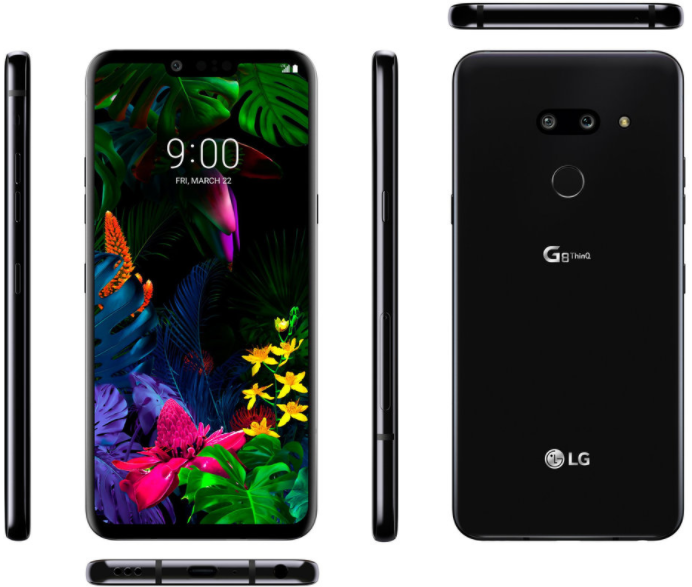 The G8 ThinQ logo will be placed at the center of the back panel and LG branding can be seen towards the bottom. The phone will feature a USB-C port and a 3.5mma audio jack at the bottom as well. Moreover, the phone will sport a volume rocker and a dedicated button on the left for accessing Google Assistant. On the right side, it will feature a power button. The upcoming smartphone will have a battery of 3500mAh with a nominal capacity of 3,400 mAh. The previous teasers about the handset also revealed that the LG Upcoming Smartphone will launch with Hover Gestures. Furthermore, the tagline of the teasers “Goodbye touch” suggested that LG is all set to unveil new gestures that might even work without touching. It seems really amazing. So, let’s see what will this upcoming flagship phone offer. Brace yourselves for upcoming Mobile World Congress as it will bring some highly innovative devices.